We can source a wide range of Tartans, however it's impossible for us to keep them all in stock. Please give us a call or email by clicking here: Contact Us, and we'll be glad to check we can source your chosen Tartan. 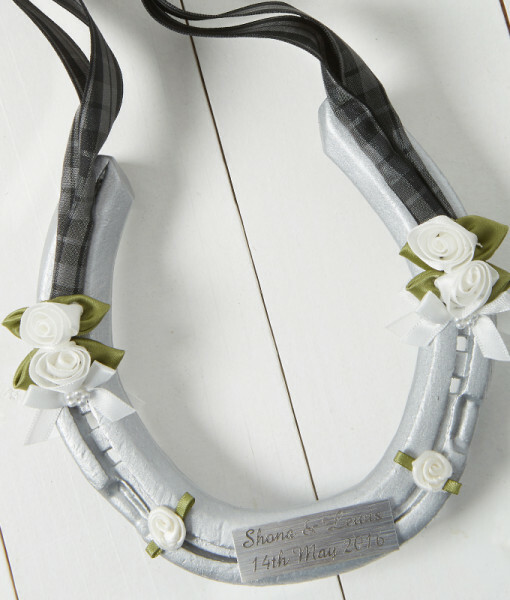 Tradition indicates that a used horseshoe brings luck. 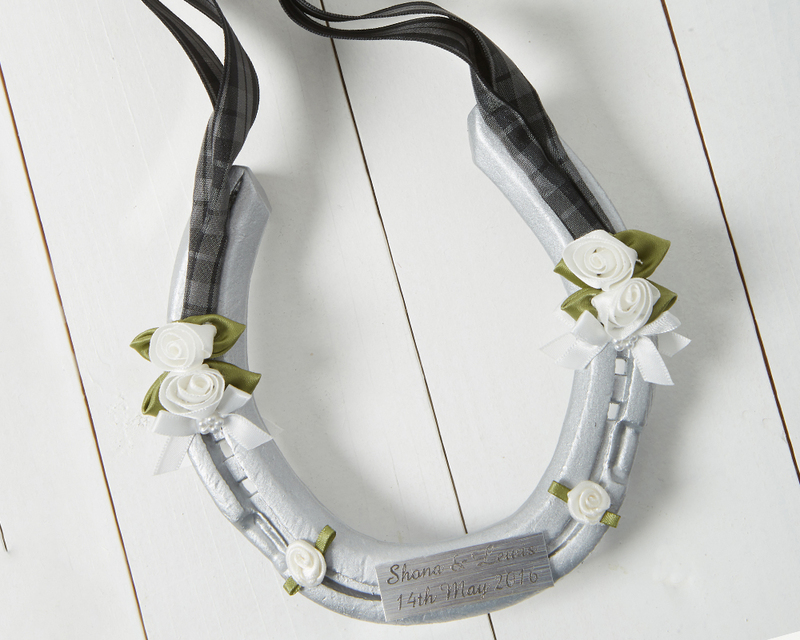 However, we do offer the option of supplying your bespoke gift made from a new and unused horseshoe. 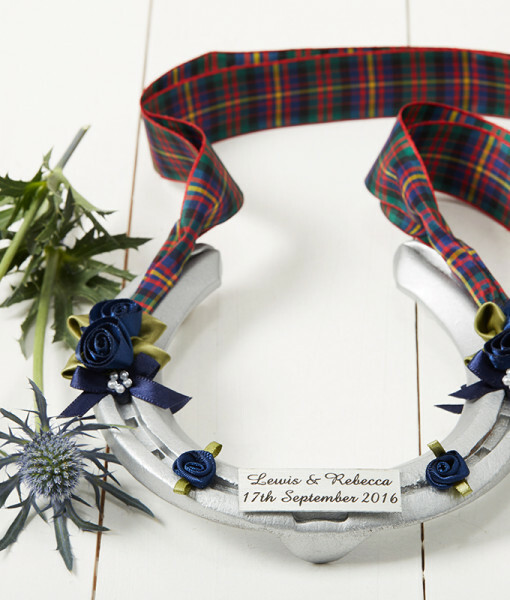 We ask for the date of the wedding to ensure your horseshoe is delivered in good time, however this is optional and the estimated delivery date is listed below. Based on our standard service, we'll dispatch your horseshoe by 27/04/2019, but if you need it faster, please call us before ordering. 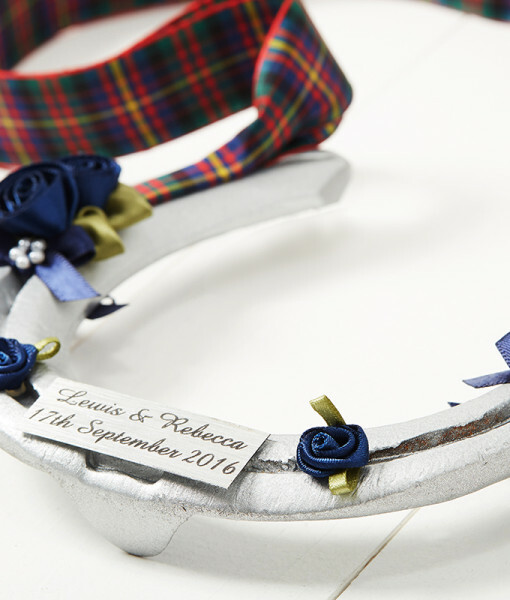 With a range of over 500 different tartans to choose from it is understandable that ribbon manufacturers cannot produce every pattern in double sided satin. 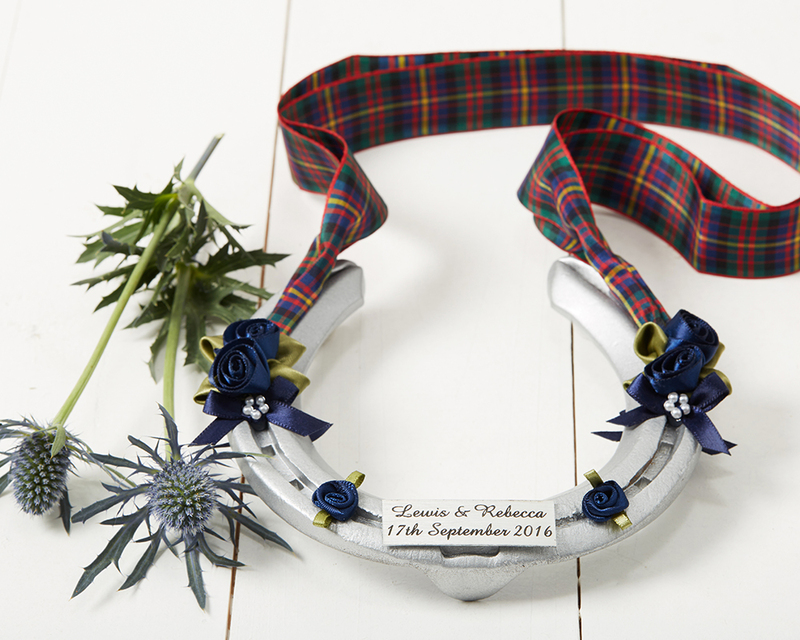 We are pleased to offer our customers the tartan ribbon of their choice, manufactured from genuine 10 ounce tartan fabric, cut 25mm wide and professionally hemmed. 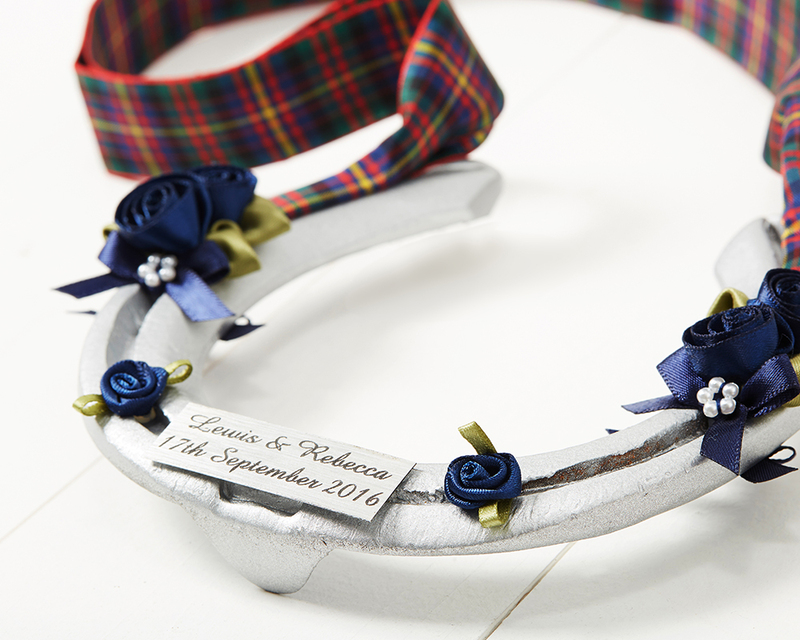 Simply choose the tartan you require and we will supply a matching ribbon. 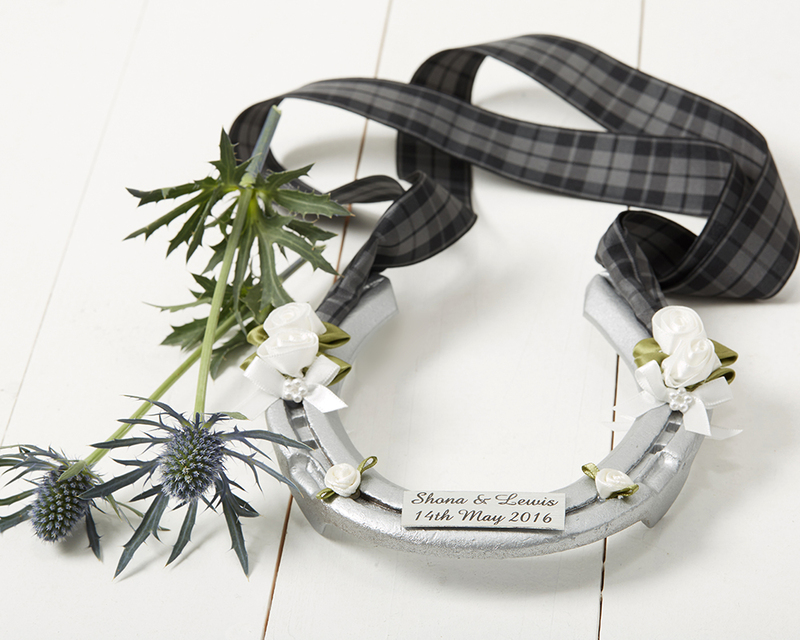 If the tartan exists, we can make the ribbon for you! Delivery times for genuine tartan ribbon can take up to 21 days. 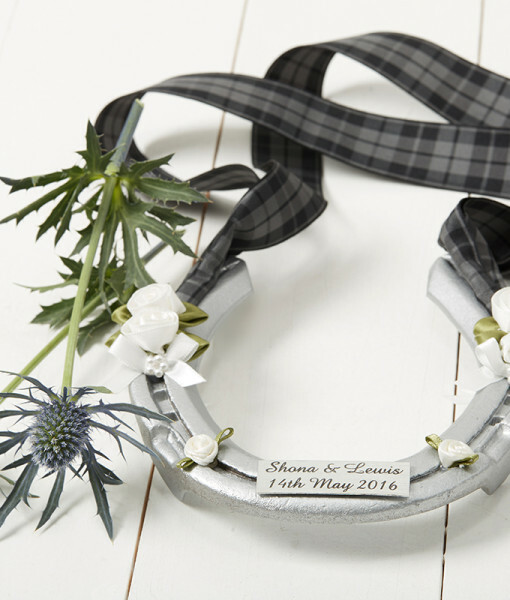 Manufactured from beautiful fabrics these ribbons will provide a perfect match to your wedding theme. Delivery & Payment Info coming very soon!